I’ve been rocking HOKA ONE ONE’s Stinson Tarmac for a while now and it continues to impress. 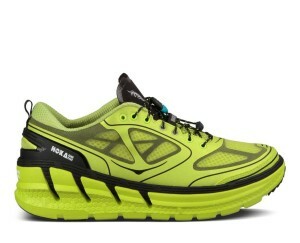 However, I was very interested in trying out one of HOKA’s semi-new shoes, the Conquest. This shoe’s been around for a while now, but compared to my Stinson, it is a fairly large departure from their other shoes, so I wanted to see how it ran. First off, this is still a max-cushion shoe. And not, hey just a bit more cushion that our regular shoe style max cushion. These are the guys who started this trend and this shoe does not disappoint in the “stuff under your foot” category. In the forefoot there’s 25mm of cush, and 4mm higher you get 29mm in back. The quality of the cushion is what’s new, and frankly I was a bit nervous. HOKA swapped out their blown EVA for something called “Rmat”, which is a slightly denser and higher rebound material that maintains fairly light weight. Once I got them on (I had to go up a size since there weren’t any super thin insoles to use) I took off for my test run. So, um… wow. HUGE difference in feel from my Stinsons, and in a really great way. Where my Stinsons would collapse a bit awkwardly if I didn’t land perfectly square (an annoyance when I’m tired) the Conquest had a stabilizing, almost suspension-like effect. Although I could feel that the padding was slightly less “fluffy” underfoot, the spring was worth it. The biggest, immediate difference, was that I felt like I could immediately run a big faster. The Stinsons are great for absorbing foot-shock, but a little bit like running in sand for me. The Conquest, on the other hand, was more like a trampoline. Still displacing as I ran but then rebounding back a bit. I’m not going down the “energy return” path, but this shoe definitely felt more “active” under me. My run was over before I knew it, and this was one of the shoes I most wanted to get another few miles in (though sadly I only had so much time available). Something else that was different from my Stinsons was the inner “sock” that moved free of the outer “shell” of the shoe. This is hard to explain, but somehow HOKA has made something like a very thin “boot within a boot”, with a super mesh outer and a softer inner that are able to move past each other inside the shoe. This was very comfortable, and didn’t seem to impact breathability at all. My only issue at all with these was the weight. Once running the “bounce” helped make turnover faster, but I could feel all 11.8oz of shoe. They’re about the same weight as the Stinson Tarmac, but their springy sole and airy upper do make them feel a bit lighter. Still, somewhere, somehow I feel like HOKA needs to drop a little weight. Some of their 2014 collection shoes definitely are headed that way. If you’re looking for a true max-cushion shoe that maintains stability through your gait, the Conquest is an absolutely fantastic choice. 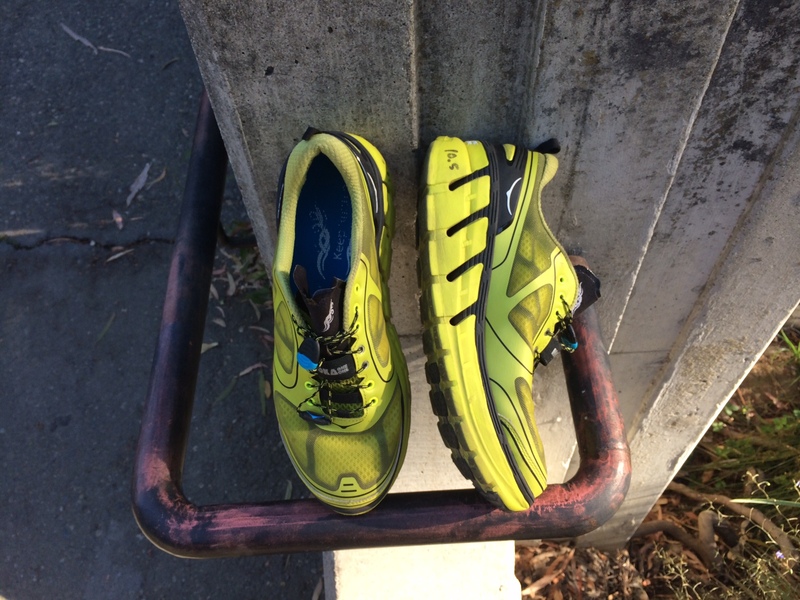 Running in HOKA shoes is like nothing else out there. This entry was posted in Gear Review and tagged Conquest, drop, HOKA ONE ONE, max-cushion, running, shoe, Ultra Marathon by TheFatPanther. Bookmark the permalink.